President Trump's top trade negotiator sent Mexico and Canada another warning on Monday: We're running out of time. "Now our time is running very short," Lighthizer said at a press conference, standing next to his counterparts from Mexico and Canada. "I fear that the longer we proceed, the more political headwinds we will feel." Lighthizer's remarks seemed to be another attempt by the United States to pressure Canada and Mexico into a deal. Earlier Monday, Trump himself said on Twitter that he would exempt the two countries from steel and aluminum tariffs only if they agreed to a NAFTA deal soon. Mexican Economy Secretary Ildefonso Guajardo also spoke optimistically Monday about an improving pace of progress in the NAFTA talks. 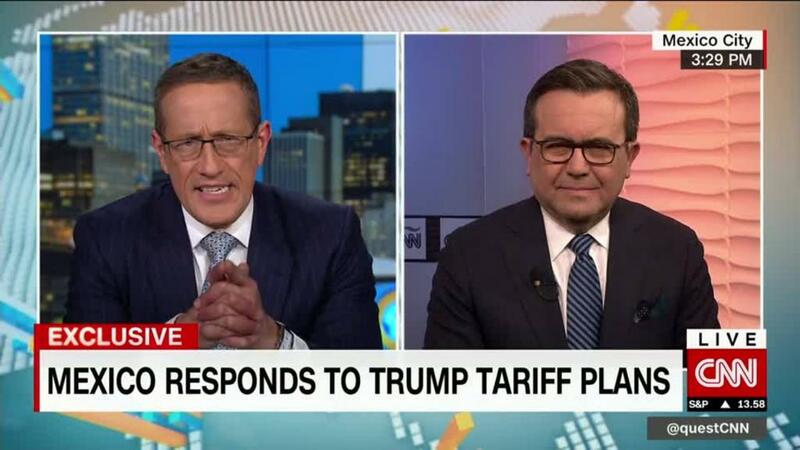 But he told CNN last week that tariffs would have "tremendous consequences" for the US-Mexico trade relationship. In Lighthizer's view, negotiators have made only minimal progress on the most divisive issue, auto manufacturing. Freeland said the conversation around auto production rules "has been constructive."